Prolonged sitting or standing on a professional and travel often leads to heavy, swollen legs and varicose veins. With VenoTrain business, you can effectively prevent: The beneficial compression of the knee stocking improves blood circulation in the leg veins. Due to its mix of materials it is particularly durable and comfortable to wear. Classic ripped it meets the dress code at work everyday and is for man and woman an ideal companion. 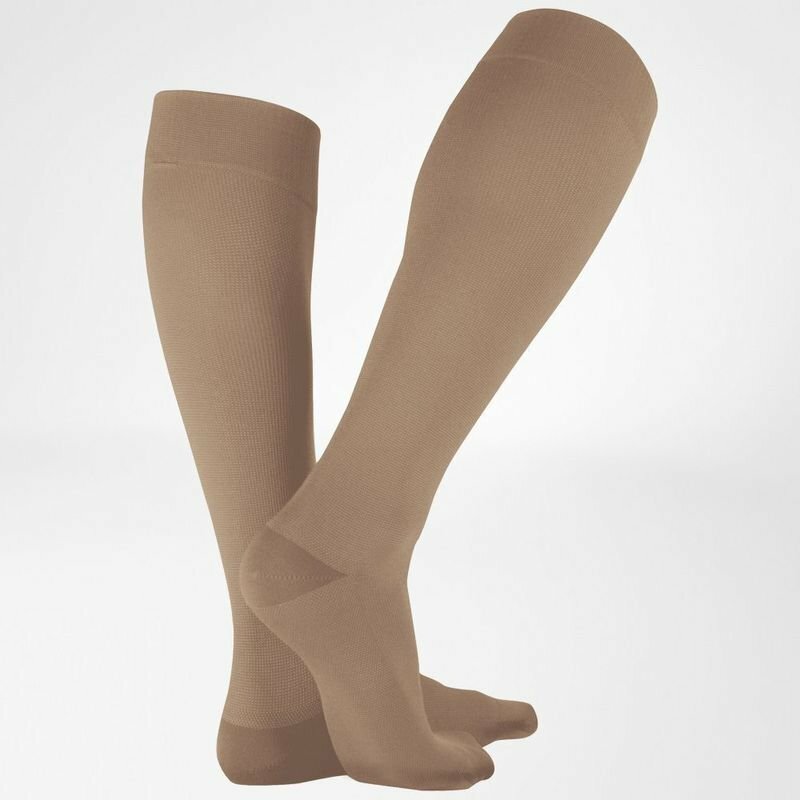 Available in compression classes 1 and 2 for medical effectiveness according to RAL-standards, your leg veins with VenoTrain business' workload and improve blood circulation. This not only protects against thrombosis and helps with mild to moderate venous disease. You feel more comfortable and overall just so powerful. The special material mix of compression stocking inside with soft cotton on the inside with Tactel® Sports fiber, regulates the exchange of heat, allows air to the skin and keeps intensive use without any problem. The reinforced sole of the foot is crossed by the high-tech fiber Timbrelle® that at long ensures days on your feet for a fresh foot environment. When traveling and in professional practical understatement is asked at the clothes often. The application of the VenoTrain business goes through highly elastic lycra soft yarns quickly and easily. The anatomically shaped heel-instep area and the broad conclusion-cuffs make the stocking sit comfortably and securely. The subtle ribbed appearance of VenoTrain business is timeless and offers in five colors a convenient choice for formal occasions. The knee-length VenoTrain business is available in the two variants foot long and foot short, which differ in foot length. The foot length "foot short" is recommended for shoe sizes from 36 to 41, "foot long" covers the range from shoe size 41 to 49. Een genot van confort. Aangenaam en goede steun. Een service die super is.